Reseda Blvd. is the arguably the spine of the West Valley, for sure in the north-south direction.It is one of those rare roads that stretches both into the Santa Monica and Santa Susana Mountians. 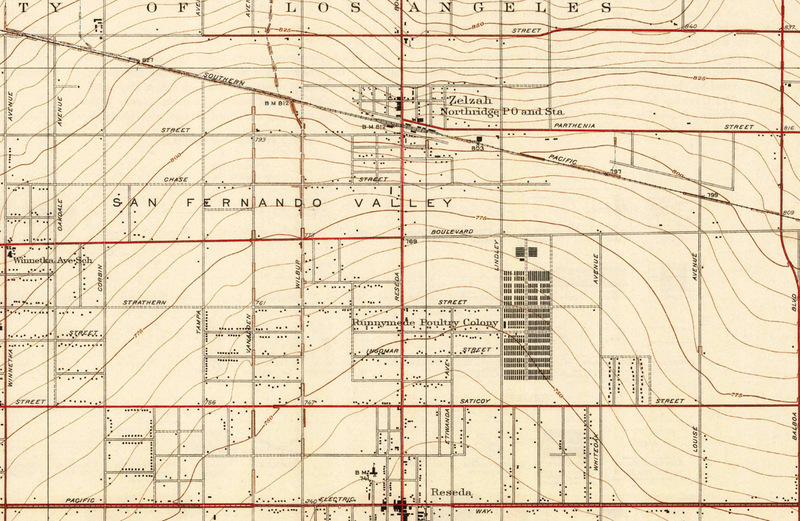 In between, it links the neighborhoods of Tarzana, Reseda, Northridge and Porter Ranch passing by key connections like Ventura Blvd., the Orange Line and CSUN. When the freeways started being laid out in the 1950’s, the street’s landscape began to change as urban sprawl dispersed the area’s vibrancy. With great distances between the freeways, the corridor became even more auto-dependent, but as we know that has its limits. San Fernando State grew into CSUN and is now one of the top ten largest universities in California. Like the rest of the Valley, the demand for better transit options is on the rise, especially after the success of the Orange Line. While the SFV awaits the distant arrival of light rail for the East Valley, BRT along the North and that elusive connection to the Westside, there is something more pressing on the horizon. 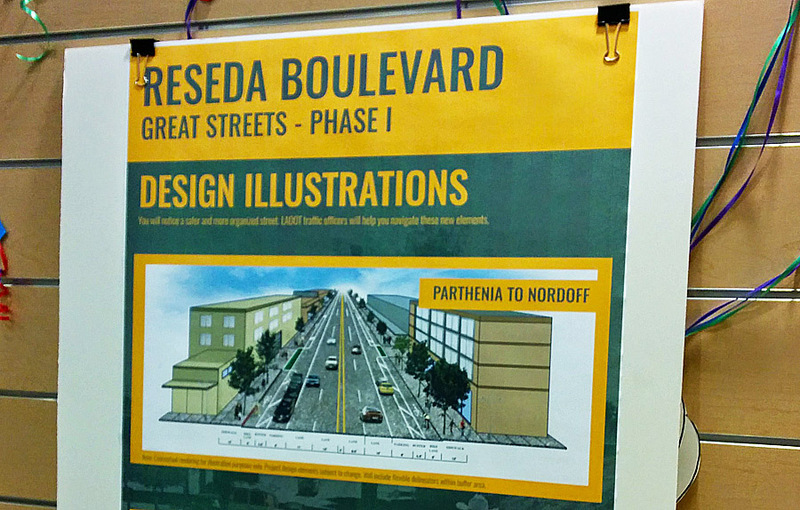 As someone who has had trouble finding a viable cycling route to Northridge, color me giddy as closing the gap along Reseda is finally being addressed. 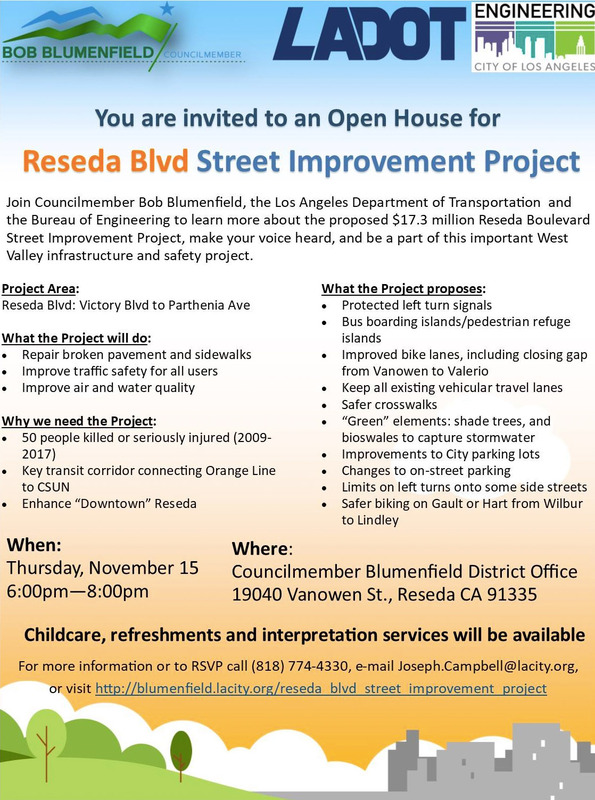 This Thursday night, Councilmember Bob Blumenfield is hosting a communtiy meeting at his field office (19040 Vanowen Ave.) from 6pm to 8pm where design options for Reseda Blvd’s Street Improvement Project will be presented. The plan includes improved bike lanes, protected left turn signals, bus boarding islands/pedestrian refuge islands, and safer crosswalks, while keeping all existing vehicular travel lanes. Closing the bike lane gap between Vanowen and Valerio is important, but this project will also help upgrade some of the existing ones. These improvements are key, as fifty people have been killed or seriously injured on the street between 2009 and 2017. Couple that in with the Sherman Way region, which is at the heart of these improvements, will become far more exciting in the near future with a an LA Kings Ice Rink with a possible Laemmle Theater on the way. I’m very excited to see these proposals as the Valley has been bereft of these opportunities and am glad that Blumenfield has been on the front lines of making change. 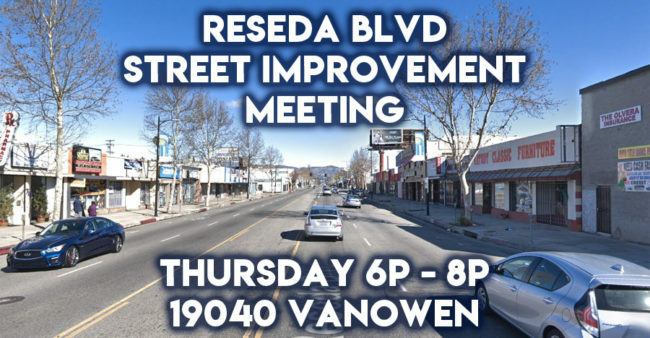 Whether you live in the neighborhood or dial out from the 818, it’s important to come and support that we want these types of improvements everywhere in the Valley.